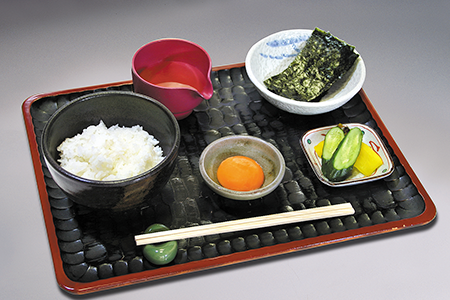 Sanjo neighborhood of its founding was a transport hub . 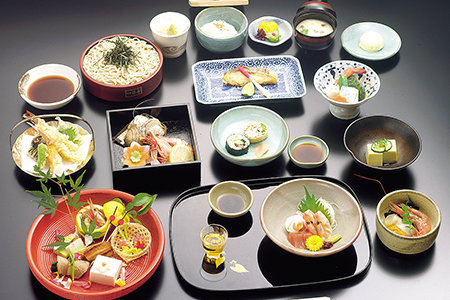 We have seen the shrimp at the time of coming and going car wheels ( carriages and rickshaw ) . 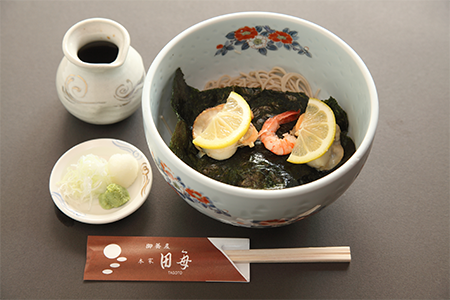 Served with Chirashi Tempura . 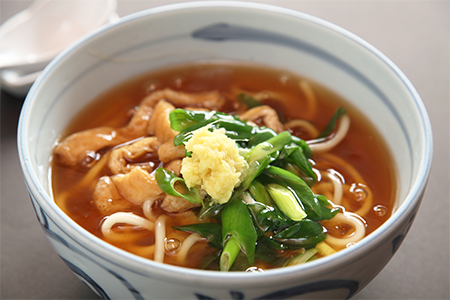 The flour of Misogi Soba is scarce finest Soba flour. 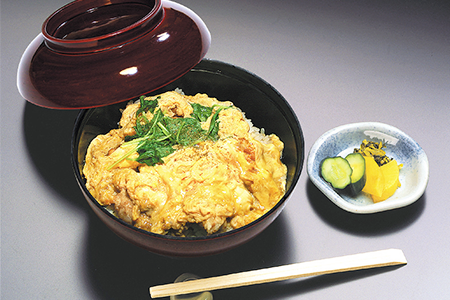 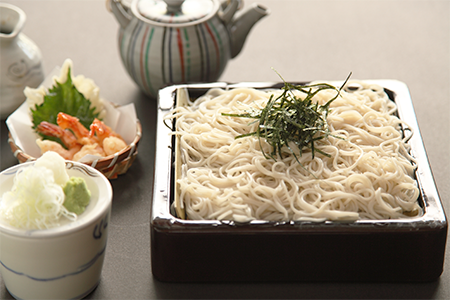 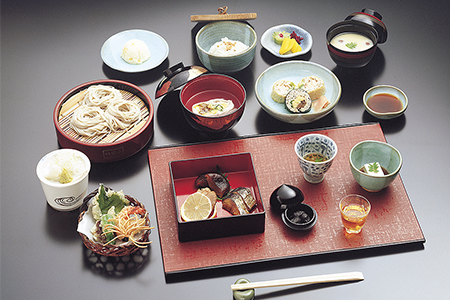 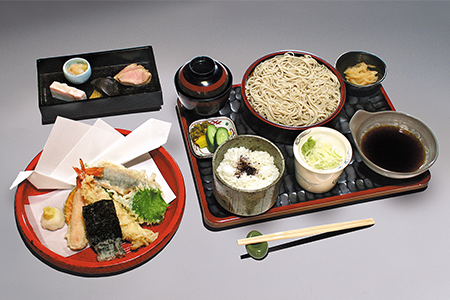 The famous Tagoto Misogi Soba made from pure white, first flour used to be a tribute for the court nobility. 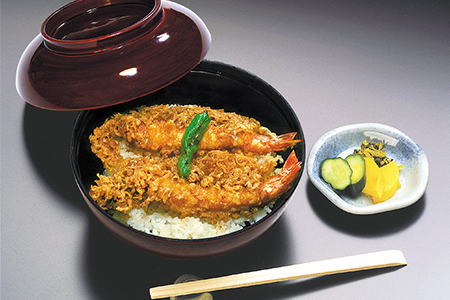 Served with Tempura of shrimp. 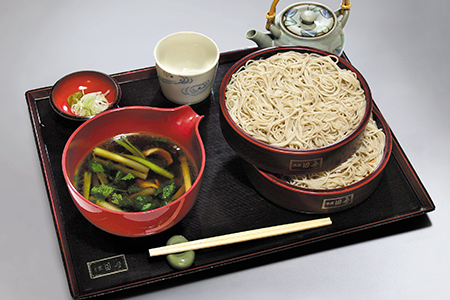 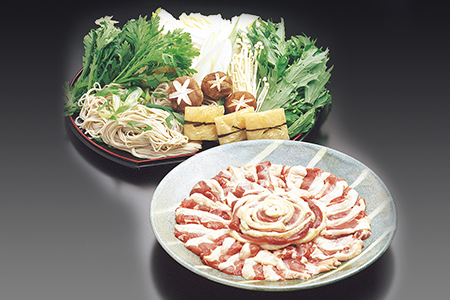 Our specialty Soba representing the scenery of the moon reflected on terraced rice fields. 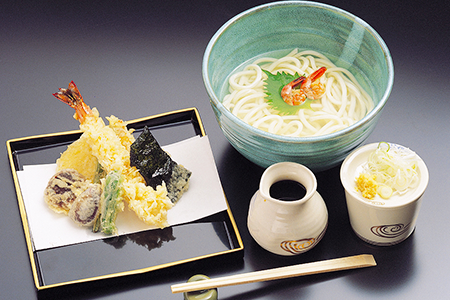 Seaweeds portray rice fields and Sake-steamed scallop portrays the moon. 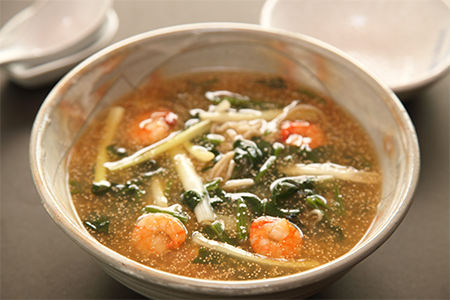 Served hot/cold at your request. 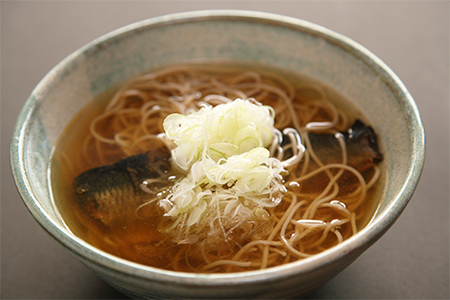 * The photo is cold served Tagoto Soba.